Technology and wellness aren’t mutually exclusive concepts. 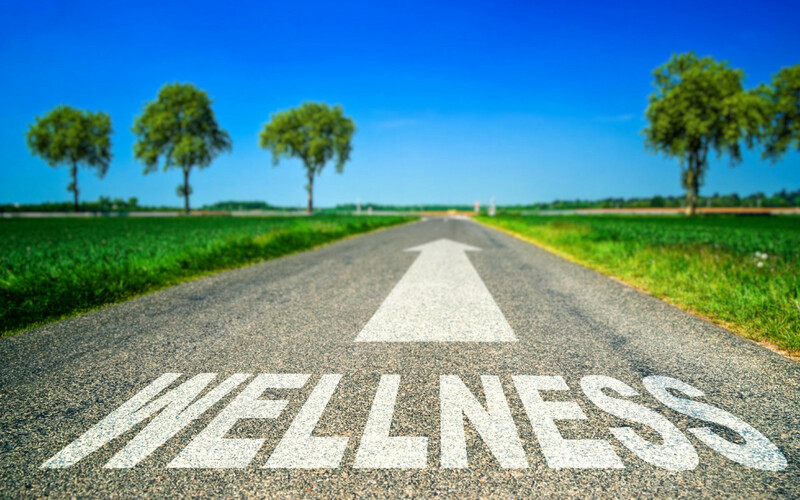 The key is to merge these concepts to integrate wellness into your daily life seamlessly. Amrit has brought this concept to the next level by integrating technology into both design and services to create the optimum of high-tech high-touch experiences. Imagine having the ability to be fully present and experience the power of now. Amrit’s innovative technology allows you to be in the moment with the help of a 24/7 Amrit Wellness Advisor in your preferred format: virtually, by phone and in person. This technology, unique to Amrit, works as a personal wellness assistant to you to help you achieve your optimal wellness goals. From supporting your nutritional plan, your fitness schedule, and your preferred amenity availability, this technology will be there any time of the day or night to assist your personal wellness objectives. Within Amrit’s 3 ½ acres of green space, flora and fauna lined walkways are scenic opportunities to connect with nature and your fitness goals. Amrit’s self-guided fitness stations make movement as natural as breathing as the Amrit App keeps track of the details of each of your stops, so all you have to focus on is yourself and enjoy your out-door workout at a pace completely your own. Making healthy choices is easy at Amrit and one of the easiest choices is often overlooked: using stairs instead of the convenience of elevators. Using stairs can not only increase your daily step count exponentially but adds amazing muscle tone. Using stairs also improves core muscle strength and bolsters the cardio system. The Amrit App incorporates the EASG Program, or Easy Access Stair Guide, which helps you move in the right direction. The Amrit App navigation feature alerts you when a stairwell is nearby to help make that healthy choice easy. The stairwells include details of steps, recommended stretching and breathing techniques and your Amrit App keeps track of your steps and calories burned. Well-appointed stairways at Amrit make taking steps an enjoyable way to stay fit, meet fellow steppers and bonus—lower your carbon footprint! Specific preferences make us unique, and Amrit believes that living quarters should be as individualized as those who reside in them. The innovative technology in Amrit’s in-room service makes it is easier than ever to customize the ambiance inside your residence with immediate automation and the ability to create restful rituals that best suit you. The Restful Ritual Concierge service is easily accessed via the Amrit App or through the room’s television. A simple click of a button and you can select comforting colors, lighting and aroma preferences and so much more. If an evening bath is your desire, a simple click is all it takes to choose your bathing botanicals and essences from Amrit’s Restful Ritual menu. In need of deeper relaxation? Another click from the Restful Ritual menu and you can schedule a relaxing massage to release tension and invite calm. Sleep is core to well-being, and Amrit’s sleep specialists can assist to create an environment and the rituals for your most restful sleep. From pillow choices and comforting beverages to sleep inducing massage and meditation, to syncing your circadian rhythm lighting, Amrit’s 24/7 Personal Wellness Advisors are just a click away to provide that which you desire for total restful rituals. For centuries the use of natural sources for well-being has been practiced throughout history. Amrit has taken these practices and merged them with modern technology. Halotherapy, also known as Salt Therapy, has been shown to alleviate stress, increase respiratory health, diminish mental fatigue and promote overall wellness. Amrit’s Inhalation Chamber creates a micronized saline vapor in a soothing setting, promoting healthy breathing, beautiful skin and general well-being. Promoting circulation helps the body on multiple levels from removing toxins to toning. Amrit’s Kneipps inspired Hydro-Reflexology Path encourages circulation in the lower extremities with alternating hot and cold hydro-experience whilst walking a stimulating reflexology path, culminating in a cold-dip plunge-with techno-monitored hydro-movement. Not only are the steam and sauna rooms designed with the use of cutting-edge technology, ensuring heat and humidity levels in the rooms are continually dispersed evenly, but the Experiential Showers are an experience in and of themselves: with varying water temperatures and pressures cycles , timed and choreographed by technology to ensure a cleansing renewal of mind and body. Technology is all around us and Amrit ‘s innovation makes technology work for you. From in-residence smart-home technology to Amrit’s 24/7 Personal Wellness System and Amrit App, the resources are all there for you. By uniting time-honored traditions in holistic health and merging them with modern innovative technology Amrit assists one to be healthy, happy and focus on what is important enjoy the current moment.